Supercritical carbon dioxide (S-CO2) Brayton power cycle is a competitive technology to achieve high efficiency in a variety of applications. However, in coal power applications, the CO2 generated from coal combustion still discharges into the atmosphere causing a series of environment problems. In this work, an 300 MWe S-CO2 power cycle with circulating fluidized bed (CFB) oxy-coal combustion was established including air separation unit (ASU), CFB boiler, recuperator system and carbon dioxide compression and purification unit (CPU). Based on the material and energy conservation, the cycle efficiency of S-CO2 (620°C, 25 MPa) Brayton power cycle with CFB oxy-coal combustion is evaluated compared to the oxy-coal combustion steam Rankine cycle and S-CO2 Brayton power cycle with the 31.65 kg/s coal supply. After that, the influence of several factors, e.g., exhaust flue gas temperature, split ratio in recuperator system and the oxygen supply on the cycle efficiency was investigated and analyzed. The results show that the net efficiency of S-CO2 power cycle with CFB oxy-coal combustion (32.67%) is much higher than the steam Rankine cycle utilizing CFB with 17.5 Mpa, 540°C steam (27.3%), and 25 Mpa, 620°C steam (30.15%) under the same exhaust flue gas temperature. In addition, lower exhaust flue gas temperature and higher split ratio are preferred to achieve higher cycle efficiency. Lower oxygen supply can reduce the energy consumption of ASU and CPU, further increasing the system net efficiency. However, the energy losses of ASU and CPU are still very large in oxy-coal combustion and need to be improved in further work. This work was supported by the National key research and development program of China (project number: 2017YFB0601802), the project of the National Natural Science Foundation of China (project number: 51876037) and the Key Research and Development Program of Jiangsu Province, China (No. BE2017159). 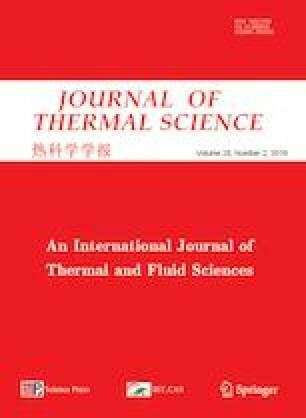 Huang Y., Wang J., Zang J., Liu G., Research activities on supercritical carbon dioxide power conversion technology in China. In: ASME, editor. ASME turbo expo 2014: turbine technical conference and exposition, Dusseldorf. DOI: https://doi.org/10.1115/GT2014-26049. Allam R.J., Fetvedt J.E., Forrest B.A., et al., The oxy-fuel, supercritical CO2 Allam Cycle: New cycle developments to produce even lower-cost electricity from fossil fuels without atmospheric emissions//ASME Turbo Expo 2014: Turbine Technical Conference and Exposition. American Society of Mechanical Engineers, 2014: V03BT36A016-V03BT36A016. DOI: https://doi.org/10.1115/GT2014-26952. McClung A., Brun K., Delimont J., Comparison of supercritical carbon dioxide cycles for oxy-combustion//ASME Turbo Expo 2015: Turbine Technical Conference and Exposition. American Society of Mechanical Engineers, 2015: V009T36A006-V009T36A006. DOI: https://doi.org/10.1115/GT2015-42523.